I've said it before and I'll say it again --- I love my neighborhood!!! 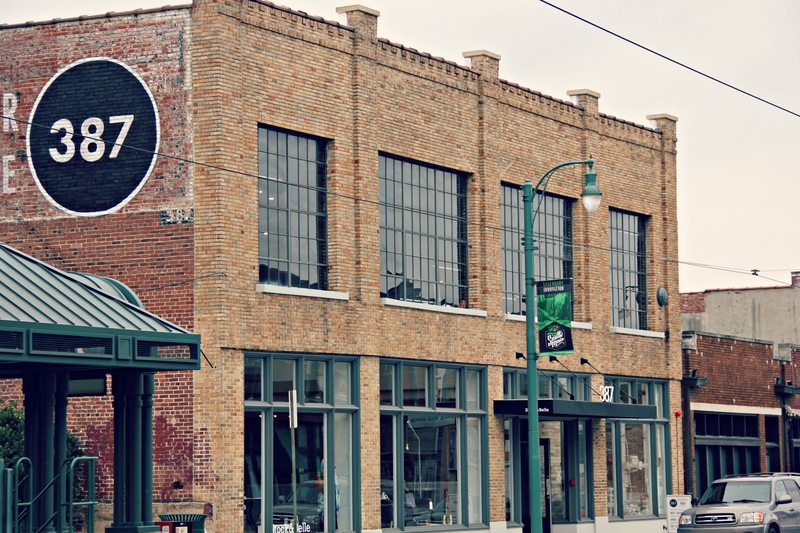 It's no secret that Memphis completely has my heart, but long before I ever actually lived within the city limits, the South Main Arts District was one of my favorite places. The street is lined with amazing dining options, shopping, and galleries. It's also been growing steadily for quite some time now with new places popping up all the time. Back in April, Stock & Belle moved into the neighborhood and brought with it a plethera of amazing artwork, clothing, and furniture, not to mention, a place to get your haircut. After it opened, a wall went up inside the open floorplan of the store. We all wondered what could possibly be hiding behind the wall. Jeremy and I tried to guess, but what it turned into far exceeded our expectations. 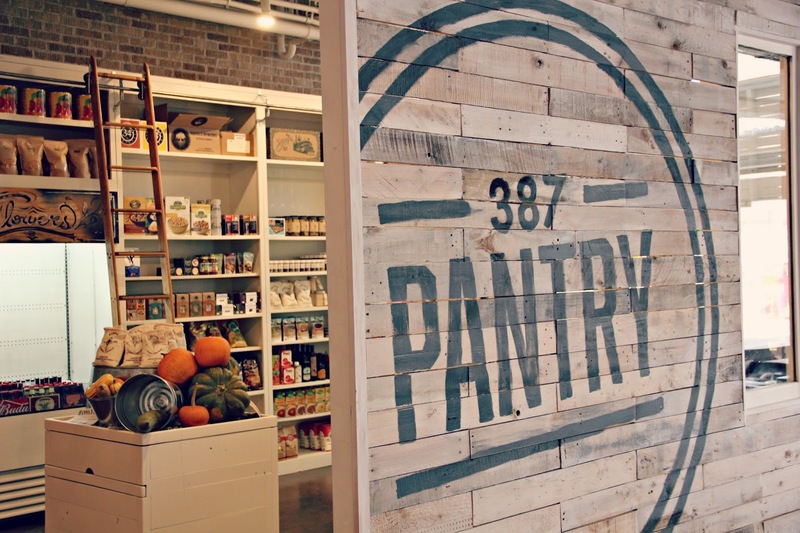 Behind the mysterious wall opened 387 Pantry. 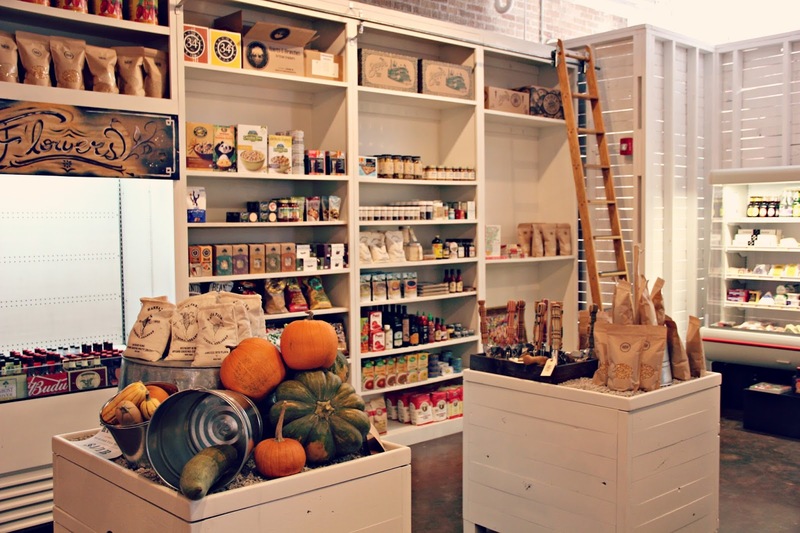 A unique grocery store that specializes in local products. 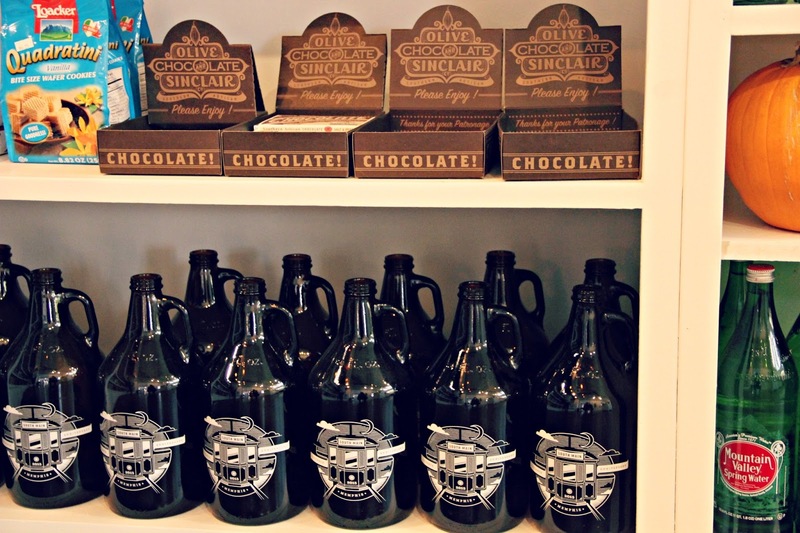 Here, you can find cured meats, fill your growler, buy pizza cutters made out of recyled skateboards (yup), pastries, cheese, and fresh brewed coffee. 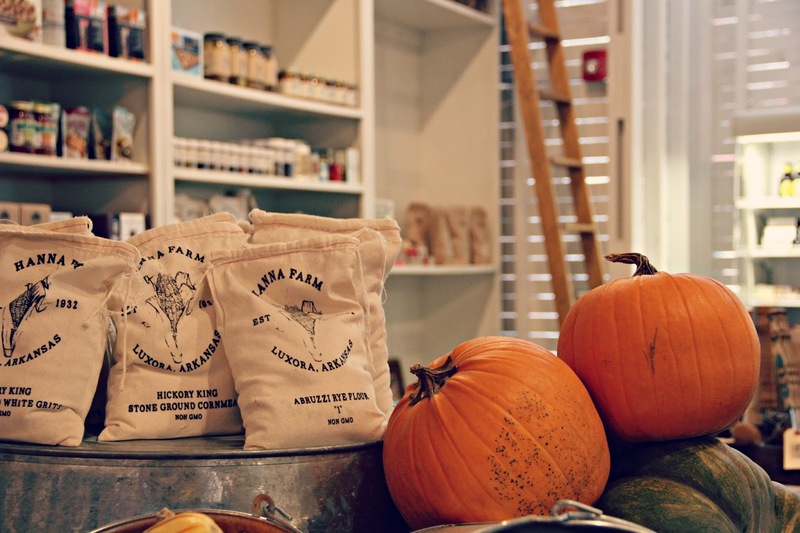 It's the perfect place to find that special product that won't be carried in a typical big brand grocery store. Related: See what I wrote specifically about the coffee here. Bonus, it's run by a friend of ours who is incredibly passionate about the community and really puts his heart and soul into every decision he makes. Each item is hand picked specifically and it really shows. Every time I'm in there I spot something else that looks totally amazing and the best part, it's all local. So, now that you can't wait to get there, might I suggest stopping by tomorrow night! 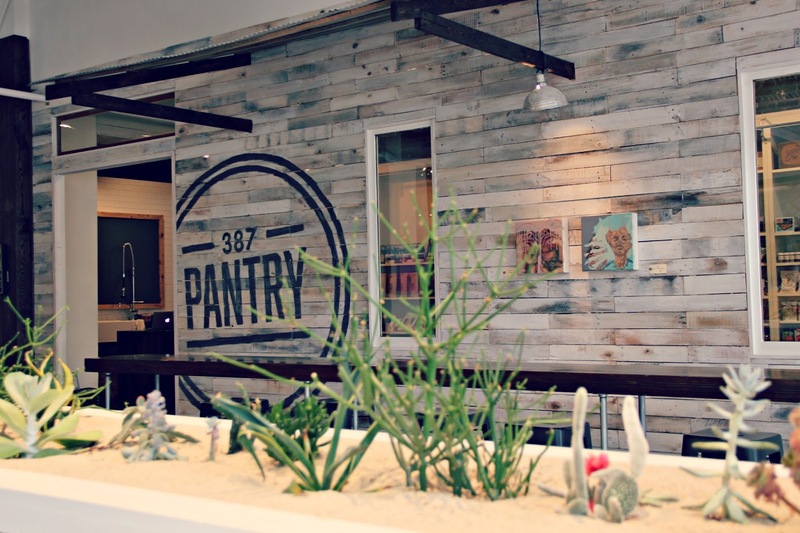 There is a special Mid-Week Farmer's Market hosted by 387 Pantry and Wilson Gardens. You'll be able to purchase gorgeous organic vegetables andddd Fuel Food Truck (ahemmm my favorite food truck) will be there. 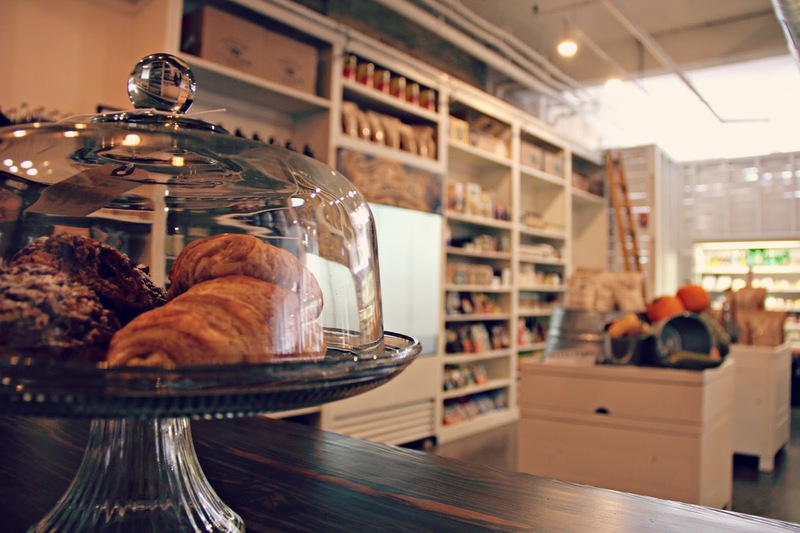 The shop is beautiful and right up my alley! If only Memphis was a little closer! I miss Memphis so much! I didn't live there but visited monthly from Oxford, MS. Now I'm back home in the United Kingdom. I love reading your blog and remembering how much I love Memphis and the MidSouth, thanks for the brilliant content!